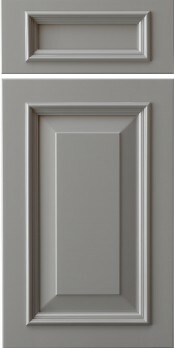 One of the most popular Applied Molding doors, the Churchill adds an ornate, stately, masculine flair to any room. This door is ideal for glazed finishes. In order to optimize this door for painted finishes, Conestoga (CWS) created the Churchill (MDF). The MDF version of this door features full, five-piece MDF construction which creates a stable base for all painted finishes.